Greetings cards are a convenient and affordable way to show someone that you are thinking of them, whether you send one through the mail to a far-away friend or family member, or hand it over in person at a birthday party or other celebration. They’re fairly small and light, easy to send in the mail or to carry by hand, and quick to write – just grab your favourite pen and away you go, especially if you choose a card that already has a printed verse inside. 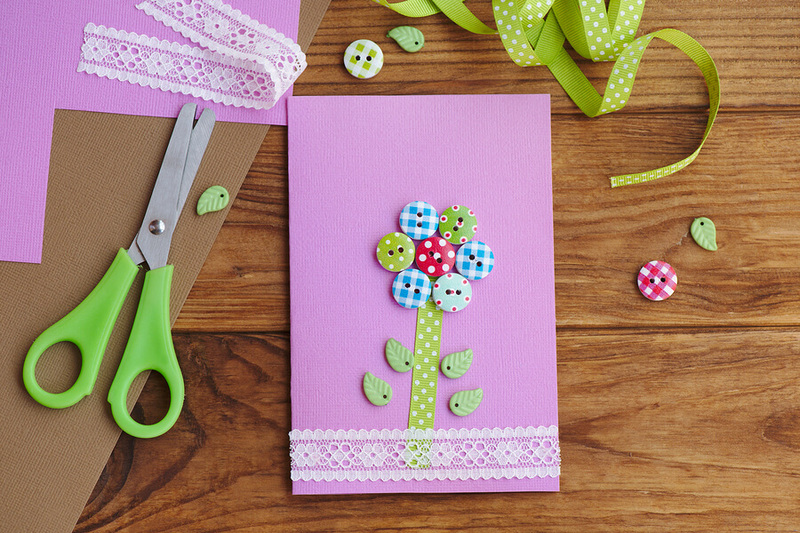 A greetings card is the ideal way to add a written message to a gift too, and it is this role as a way to share short written well-wishes that saw them come into being many centuries ago, with billions of cards now sent every year. 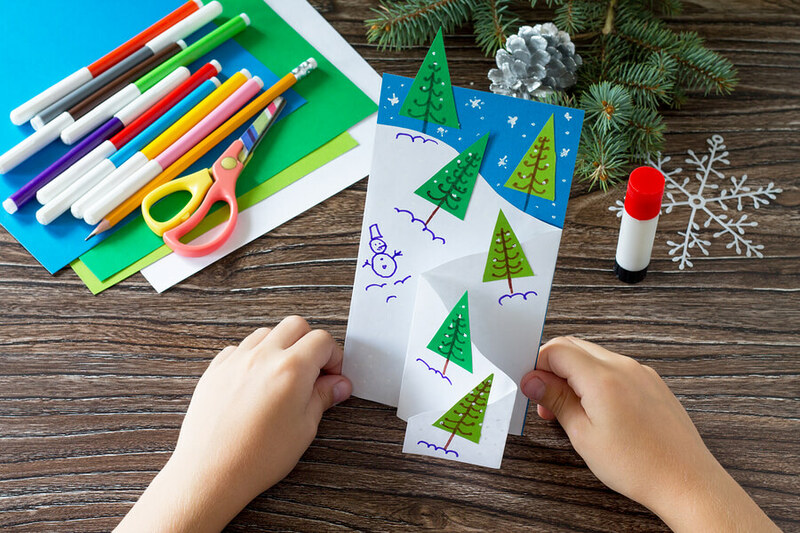 The earliest origins of greetings cards can be traced back to the ancient civilisations in Egypt and China, who would exchange tokens around New Year’s to ward off bad luck – although these were not printed on card, but on papyrus. Much more recently in the 1400s, woodcut stamps were used to print inked designs onto greetings cards, which were popular in Germany again around New Year’s, with handmade cards also sent in Italy for Valentine’s Day. Because cards were printed and finished by hand – including carving the wooden blocks or adding embellishments like lace – they were very expensive and could be considered a luxury item. 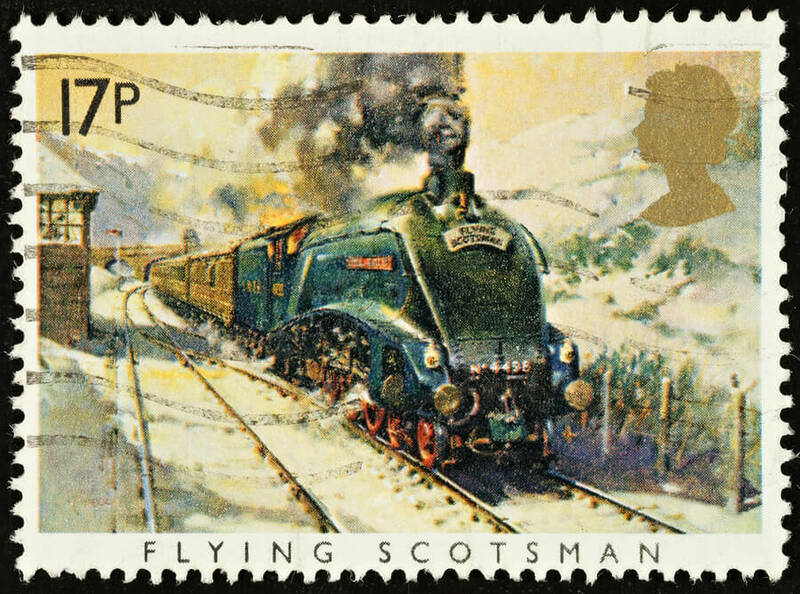 A postage stamp from 1985. The Penny Black postage stamp was created in 1840, making it possible to mail greetings cards instead of delivering them in person or by hand courier. Christmas cards followed three years later, reputedly because Sir Henry Cole wanted a more convenient way to write to his long list of friends and acquaintances, without taking the time to write a full letter to each person. By the end of the 1800s, Christmas cards were also commercially available in the USA, while in the UK the Royal Mail were handling more than ten million seasonal greetings cards each Christmas and New Year as people embraced this easy way to send season’s greetings to one another. It’s this convenience that has helped greetings cards to grow and grow in popularity over the nearly 200 years since, with greetings cards designs now for all ages, relatives and in-laws, and just about any occasion you can think of. The record-breaking recipient of greetings cards is Craig Shergold whose family started a chain letter asking people to send him as many cards as possible while he was being treated for cancer in 1989 at the age of nine. Against the odds, Craig survived after undergoing a new kind of operation in the USA, but the cards kept coming. By May 1991, officials from Guinness World Records counted the total number of cards sent to Craig as 33 million, but by 1998 Craig said the number was closer to 250 million. Royal Mail even allocated his family their own post code – but they later moved house and with the latest total believed to be over 350 million cards, it’s unlikely anyone will break Craig’s record in the near future! Making a beautiful Christmas card. Many of us send greetings cards for special occasions – but did you know there are some special days for greetings cards themselves? December 9th is Christmas Card Day, and commemorates Sir Henry Cole creating the Christmas card in 1843 – a perfect excuse to take a day to write and mail your own seasonal greetings cards before the last posting date before Christmas. And the first Saturday in October is World Card Making Day (since 2006) so why not put your favourite pen to work illustrating a card from scratch and send it to a loved one near or far away? There’s even an Electronic Greeting Card Day on November 29th each year, a sure sign of how this popular way of sending well wishes continues to evolve in the Digital Era. But with physical greetings cards so fast and easy to send, they’re a much more personal touch for birthdays, anniversaries, Christmas, new jobs, new homes, thank yous, get well soons… the list goes on and on and on!